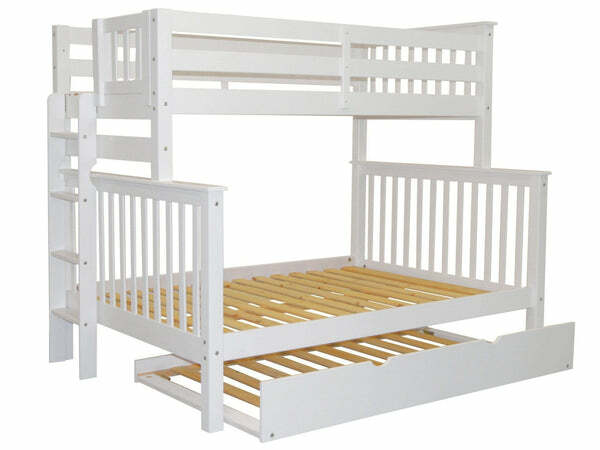 Sale is for Twin over Full Bunk Bed with a Twin Trundle only - excludes Mattress. 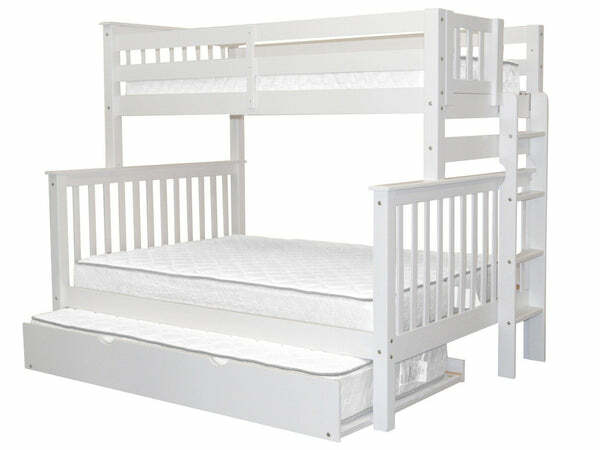 Set includes (4) Side Rails (2) Head Boards (1) Foot Board (28) Wood Slats (1) Center Support for Full Bunk (4) Guard Rails on both sides for the Top Twin Bunk and (1) End Ladder + Twin Trundle with 10 slats. 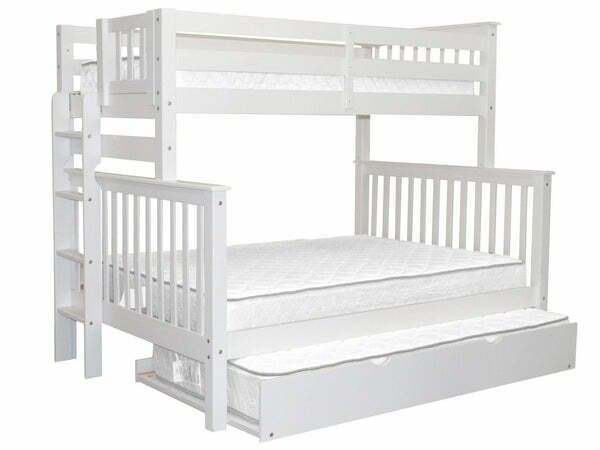 Twin Trundle dimensions are approx 9 1/2 high x 74 1/2 long x 41 inches deep. Trundle will accommodate a mattress up to 7 inches deep - The Bedz King mattress will not fit the trundle as it is 9 inches deep. What is the weight limit for each bed?